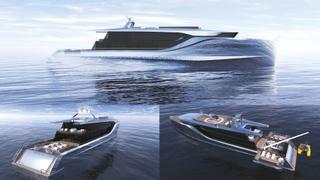 The winners of the 2018 Young Designer of the Year Award sponsored by Oceanco were announced last month (January 28) during the Boat International Design and Innovation Awards. Piredda’s entry Galàna (pictured below) impressed the judges with its practical and elegant exterior design. The 24-year-old Politecnico di Milano student met the brief exactly with his general arrangement, while his masterful use of design development sketches was also exceptional. Speaking after receiving the award, Piredda said: "It's quite difficult to explain what it means to win the Young Designer of the Year Award. I think it will take me a week to realise just how big this is. It feels amazing." A freelance designer by trade, Bovie saw off fierce competition in his category from 18 rivals hailing from 13 different countries. The judges reserved high praise for fellow finalists Yilin Huang and Francesco Conte, but Bovie’s design Mirage (pictured below) was selected as the winner due to its excellent presentation, practical ideas and beautifully drawn general arrangement. “It’s a great contest and yachting is an amazing world. I just wanted to give a chance to my design," added Bovie. 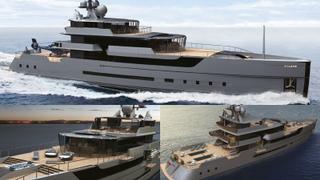 “This award is going to help me to open up great contacts to design new yachts." 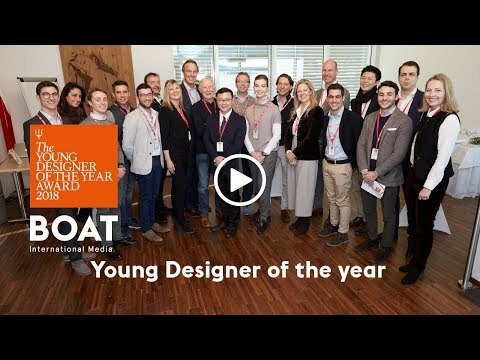 The following day, during the Superyacht Design Symposium, Bovie, Piredda and their fellow finalists were given the chance to meet with the judges of the 2018 Young Designer of the Year Awards to discuss their designs at a private lunch, sponsored by Esthec and Bolidt. The finalists will be reunited in May to take a tour of Oceanco's headquarters as part of the Young Designers Getaway, which will also be attended by winners and finalists from previous years. What's more, Piredda will spend three months learning directly from the Oceanco design team as part of an exclusive work placement in the firm's Monaco office. A grand total of 44 entries were received for this year’s Young Designer of the Year Award and the judges gave a special mention to the youngest ever entrant, 13-year-old Jens de Klerk. Although he did not make it into the final nine, his design was highly commended for effort.